In addition to regression on the issue of press freedom, Southeast Asia witnessed backsliding on rights and freedoms in many other areas in 2018, with Malaysia as a notable exception to this trend. Cambodia, the Philippines, Thailand, Myanmar, and even Indonesia exemplified a continued democratic regression. Cambodia became a clearly one-party state after a sham election in July, although at the end of the year Hun Sen and the CPP, under pressure from foreign governments, slightly relaxed their pressure on the opposition and civil society. However, this relaxation was probably just a means of convincing major foreign donors not to impose tougher sanctions against Cambodia, and not really a shift in how Hun Sen treats the opposition or civil society. Meanwhile, the Thai junta did everything it could to prevent real political opposition from coalescing. It banned political parties from organizing for most of the time before the February 2019 elections, putting most parties at a disadvantage before the election. The ban was only lifted in December. 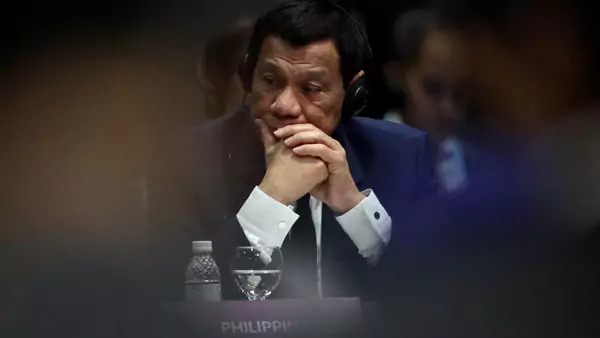 In the Philippines, President Rodrigo Duterte cracked down hard on press freedoms, as I noted in a previous blog, including trying to shut down the Rappler, one of the country’s best-known independent outlets. But he also appears to be trying to intimidate other journalism outlets, and has floated plans of launching more extrajudicial killing squads, in addition to those already tasked with wiping out drug suspects – these new squads would purportedly attack anyone linked to a communist insurgent group. Duterte also continued to weaken the independence of the judiciary and the power of the political opposition. In Laos, where the country’s new leadership has promised to take tough measures to root out graft, there are signs of progress on fighting corruption, including the firing of two provincial governors alleged to have been involved in corruption. But overall, the anti-corruption campaign has made modest inroads at best, and promises by the new leadership to bolster transparency and accountability have had no real effect on what remains a highly authoritarian and opaque government. And in Myanmar, the National League for Democracy/Aung San Suu Kyi government has proven a massive disappointment, overseeing stalled democratic reforms, regression on press freedoms, and a scorched earth policy toward the Rohingya in western Myanmar. However, 2019 might not be so grim for rights and freedoms in Southeast Asia. Although Thailand’s junta has tried to stage-manage elections called for February to ensure that the outcome is favorable to the military – and possibly even one resulting in a former general as prime minister – it cannot completely control the actual election. There is considerable reason to believe that, although the election will not be totally fair – the military is trying to slant the playing field against the long-ruling Puea Thai party – the actual Election Day will be free, marking some progress after nearly five years of military rule. In addition, an election brings some degree of uncertainty, and there is a chance that the vote will result in a parliament that has real authority and popular legitimacy and puts the country back on the path to democratic rule. There are other potentially hopeful signs in 2019 for rights and freedoms in the region. An election in Indonesia could showcase continued democratic consolidation there, even despite Jokowi’s increasingly authoritarian actions in the past year, and his selection of a cleric as running mate who has, in the past, made harsh statements about a range of minority groups in Indonesia. Malaysia’s government, which has made a strong start on democratic reforms, needs to move quickly to reform the country’s institutions, and set the stage, via legislation, for making lasting inroads against graft. In 2019, the Malaysian government has a chance to push through serious reforms designed to battle corruption, improve government transparency, and protect civil society, showcasing real democratic progress.